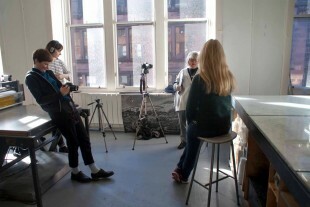 Ripples on the Pond – Artist’s Interviews present a series of engaging and enlightening short films made by a group of volunteers interviewing artists whose work feature in the Ripples on the Pond exhibition at Gallery of Modern Art, Glasgow (GoMA). 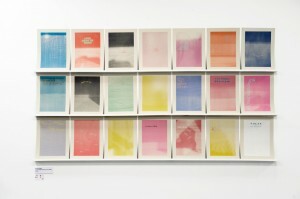 Ripples on the Pond is a Glasgow Museums’ collection exhibition designed as a conversation between works on paper by women and moving image. Recent acquisitions from the Library’s 21 Revolutions series formed a starting point, relating them to other works from the collection. The films provide a fascinating insight into each of the artist’s working practices, told in their own words, and reveal some of the inspiration behind works featured in Ripples on the Pond. They make a valuable contribution to recording and archiving women’s creative practice, a core aims of the Library. 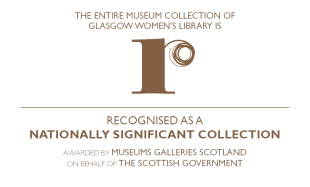 Each of the films have been produced by a dedicated group of volunteers working closely with the Library and GoMA over a period of several months. 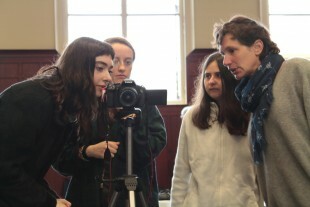 During the course of the project the group have received training and support, developing skills and confidence to enable them to produce these films. This has included bespoke tours of the exhibition and the Library’s archive developing their research skills and knowledge about the artists, as well as hands on film making training covering all aspects of practical production, from cameras to sound to editing. This dynamic group of women has worked together tirelessly, bringing their individual skills and personalities to the project, and supporting each in other in the production of this impressive series of films. The first of 5 short films about Ripples on the Pond artists’ work, this video sheds light on the inspiration behind Helen de Main’s work for 21 Revolutions, 21 Spare Ribs. Ripples on the Pond: Helen de Main Interview from Glasgow Women’s Library on Vimeo. Ripples on the Pond: Shauna McMullan and Jacki Parry Interview from Glasgow Women’s Library on Vimeo. Ripples on the Pond: Ciara Philips Interview from Glasgow Women’s Library on Vimeo. Ripples on the Pond: Sarah Forrest Interview from Glasgow Women’s Library on Vimeo. Ripples on the Pond: Jacqueline Donachie Interview from Glasgow Women’s Library on Vimeo. The Ripples on the Pond films were created by Mel Bestel, Louisina Currie, Morgan Fraser, Jenny Kelly, Una McBurney, Lucy Stewart and Esme Williams. You can read more about the film-makers here. With special thanks to Lou McLoughlan. We would like to thank all the artists for their generous and thoughtful contributions: Jacqueline Donachie, Helen de Main, Sarah Forrest, Shauna McMullan, Ciara Phillips and Jacki Parry. 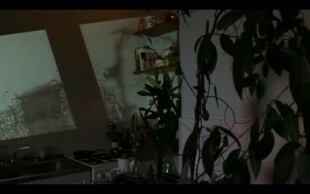 Ripples on the Pond was curated by Katie Bruce, and developed with Affiliate: Thinking Collections (a University of Glasgow programme funded by Creative Scotland) and Modern Edinburgh Film School, along with LUX Scotland and Glasgow Women’s Library. The exhibition runs from 1 May 2015 to 24 April 2016.